Considering my blog is supposed to be about baking I haven't posted any pictures of cakes recently! 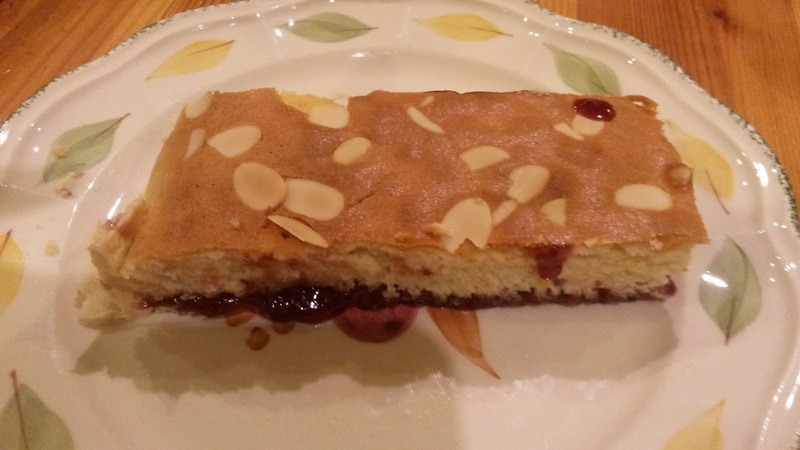 To rectify that here is the bakewell tart that I made for tea on Sunday. I used a Marry Berry recipe and it came out absolutely perfect. Mary advised to use plenty of jam, so as you can see by the fact that it oozing out, I did and it really was delicious.